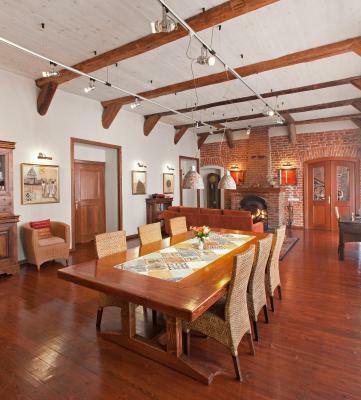 Lock in a great price for Alexander House – rated 9.6 by recent guests! Everything, from the rooms to the breakfasts and the service was excellent. Thank you very much for making our first trip to St. Petersburg such an all around wonderful experience. We'll be back as soon as we can! Cheers. Beautiful old mansion. Elegant room designs. Good breakfast included. Helpful friendly staff. Superb staff who were helpful, attentive, spoke several languages. In house restaurant was exceptionally good with food available at any hour or the day or night. The hotel had flair and character and was extremely well run. A charming hotel that could not be more welcoming. The staff are amazing -- friendly, helpful and accommodating. Need a snack at midnight after the opera at the Mariinsky? No problem! Speaking of the Mariinsky, there could not be a more convenient location if the opera, ballet or a concert are in your plans. The breakfast is wonderful. I had the misfortune to lose a little piece of official paper that turned out to be a major problem. A visit to the police and various functionaries was involved and the staff at A.H. were extremely helpful. It would be difficult to overstate how helpful staff were. 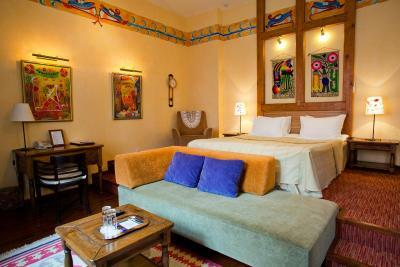 This place captures your heart and feels like home somehow with the beautiful designs and layout of the rooms. 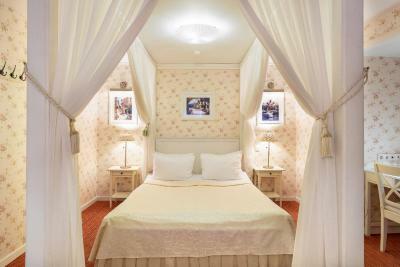 We took the Venice room at the ground floor, it was big and clean and the decor was lovely. The house falls in a quiet neighborhood right on the canal embankment. The staff were very helpful. 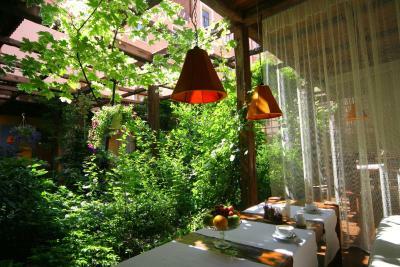 Breakfast was delicious and served in a cute little garden. 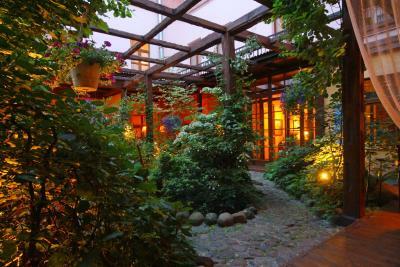 Highly recommended for a couple who want to stay away from the hustle of Nevsky. 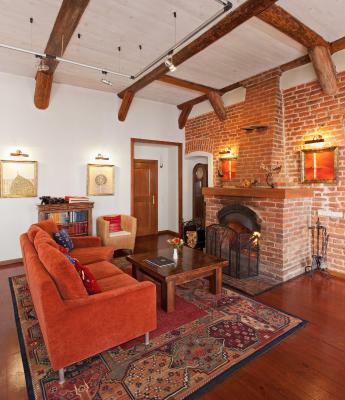 Location is 25 mins away from st Isaac square (the heart of SPB). The staff here are exceptional - they go above and beyond the normal call of duty to make sure your needs are met and that you feel comfortable. They were attentive, professional and friendly. I felt very well looked after! We loved the family atmosphere - we were beautifully looked after in every respect. All staff were wonderful, including the lovely Maria who was a delight. 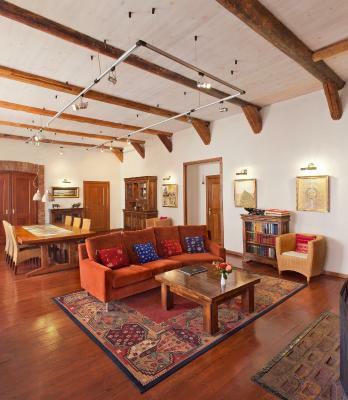 It was ideally located for the Mariinsky Ballet. We loved being able to eat at any time during the day and night in an informal and cosy setting. Alexander House This rating is a reflection of how the property compares to the industry standard when it comes to price, facilities and services available. It's based on a self-evaluation by the property. Use this rating to help choose your stay! 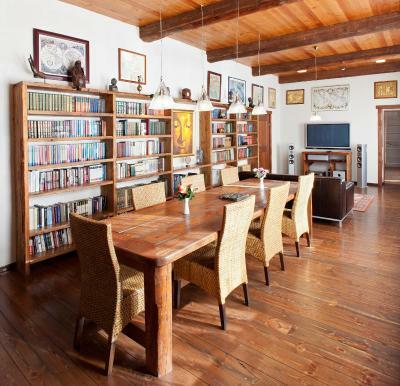 One of our top picks in Saint Petersburg.Alexander House is a homely guest house with its library and living room with cozy fireplace. 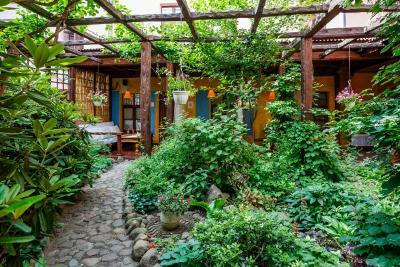 Enjoy uniquely decorated rooms, relax on the charming patio or use the free Wi-Fi. 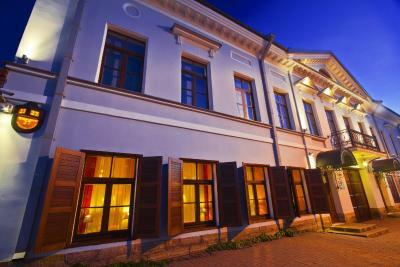 Right in the historical center of St Petersburg, Alexander House provides you with a convenient base. Located close to the Mariinsky (Kirov) Theater, you can also easily walk to St Nicholas Cathedral and St. Isaacs Cathedral. 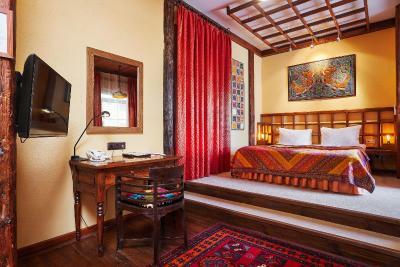 Air-conditioned rooms are equipped with a flat-screen TV and mini-bar. 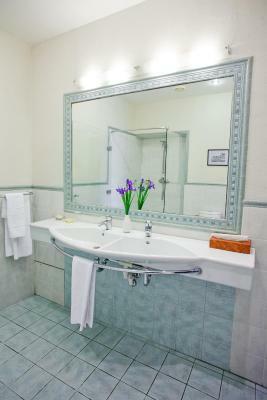 The private bathrooms are fitted with a hairdryer, slippers, bathrobes and free toiletries. Wake up each morning to a free breakfast buffet or have breakfast delivered to your room. You will find a tour desk with ticket and shuttle organization services. Other facilities include a laundry. Nevsky Prospekt is a 15-minute drive away. 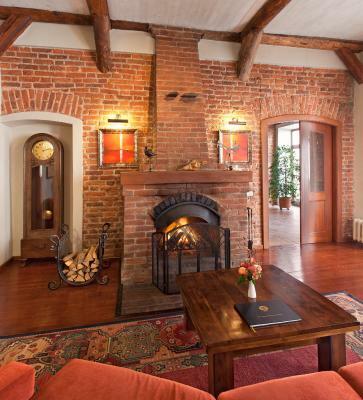 Admiralteyskiy is a great choice for travelers interested in cathedrals, history and architecture. 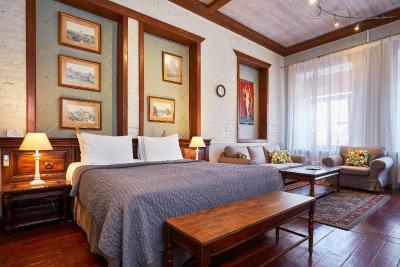 When would you like to stay at Alexander House? 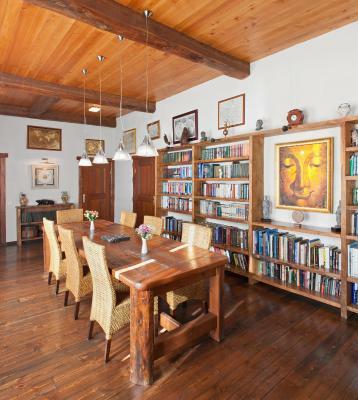 This air-conditioned room offers cable TV and a work area. 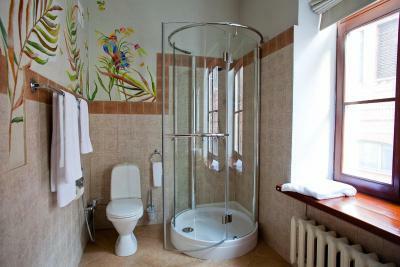 The private bathroom is equipped with a shower, underfloor heating and a hairdryer. Complimentary bathrobes, slippers and toiletries are provided. 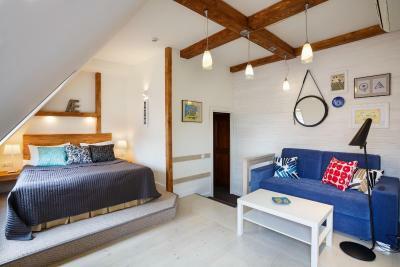 This 2-bedroom apartment features wooden design. There is a living room fitted with a kitchenette. 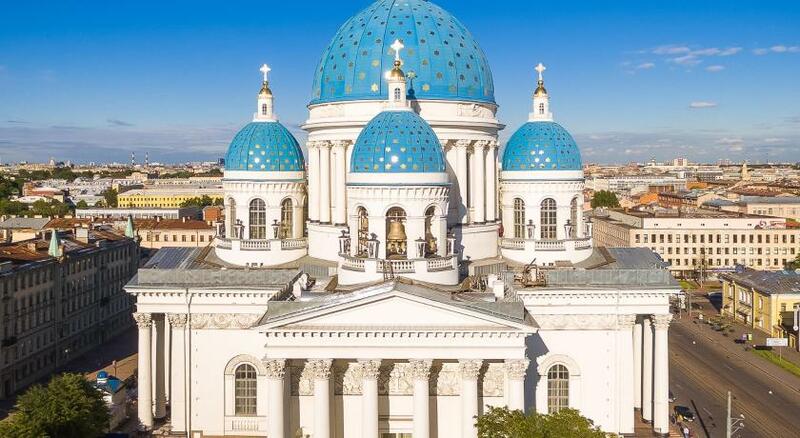 The apartment offers views of the Trinity and the St. Nicholas' Cathedrals as well as Kryukov Canal. The private bathroom is fitted with a hairdryer, slippers, bathrobes and free toiletries. Please note that the apartment is located on the 2nd floor of a building with no elevator. 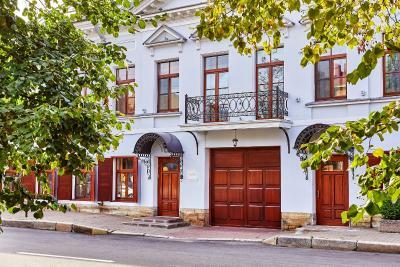 Alexander House is located in the historical area of St. Petersburg known locally as the soul of the city, in which the heroes of famous Russian writers such as Gogol, Pushkin and Dostoevsky used to live. It is about a 25 minute walk to Nevsky Prospect, and along the way you can pass the apartment where Raskolnikov lived. 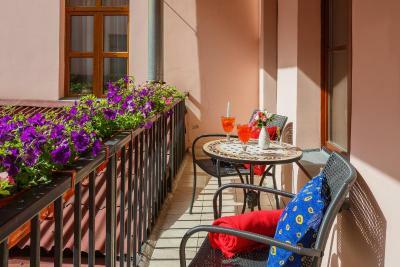 Hotel surroundings – This neighborhood is a great choice for travelers interested in cathedrals, history and architecture – Check location Excellent location – show map Guests loved walking around the neighborhood! House Rules Alexander House takes special requests – add in the next step! Alexander House accepts these cards and reserves the right to temporarily hold an amount prior to arrival. Please note that visa support for foreigners is RUB 900 per person. Nothing really, it is a bit out of the way from the centre which was good for us as it was quiet. Amazing super-friendly staff. A real gem! Room was huge, breakfast good too. Beautiful hotel, beautiful room, and great service. I highly recommend it. You do feel like being at home! Great decor, very friendly staff, excellent kitchen. 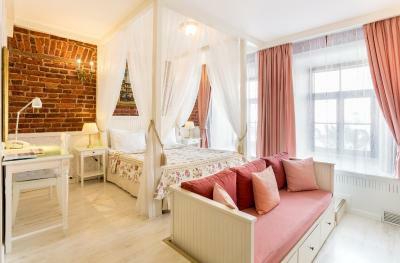 We stayed at the ‘St Petersburg’ room - this was a real treat! 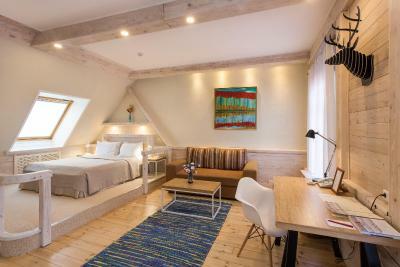 Very specious room with wonderful views! 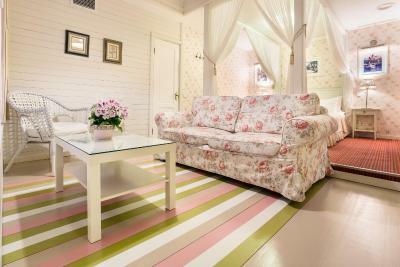 Super location for Mariinsky (7 min walk) ; lovely 30 min walk along the river to Nevsky Prospect (Anichkov Bridge). Very quite ‘real StPetersburg’ location. Really recommend this place! No elevator. I was lucky to have a 2nd floor room - only few steps leading to the room, 3d floor rooms have more and steeper stairs leading to them. Minor: telephone is far from the bed. The room was very big and nicely decorated. The temperature in the room comfortable. Wi-fi reasonably fast. Stting areas of the hotel really comfy. Overall feeling of being at home. Distance from historic centre. A fair walk after a day visiting the Hermitage. But discovered taxi app and only £2 to get back to hotel. I like all at Alexander house - is realy a "home". You feel there like visiting old friends that want to feel at them like in your house. The staff very friendly and very professional, very young persons that speak perfect english. The restaurant is realy marvelous - you can go there 24/24 - then breakfast is excelent - I eat there marinated hering as I remember from childhood. 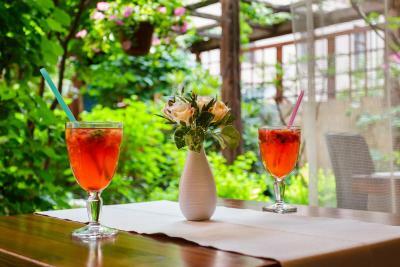 Also the lunch and dinner are excelent if you want to eat in the restaurant of the hotel. Tre room very clean at the begining, and the keep it like this every day. Last but not least the atmosfere of the room very interesting sugesting a place in the world but not in a havy way. Congratulations for all the staff and for the owners because the succeded to have not only a beatifull home to share but to keep such nice and prefessionist persons to be arround you as a guest in real sense of word - not customer.